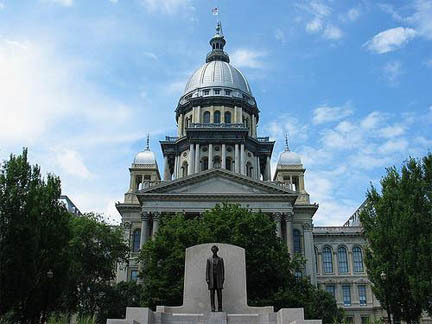 Legislation intended to incentivize large-scale construction projects and jobs investment in Illinois was introduced Thursday in Springfield. House Bill 5864, aka the Illinois Blue Collar Jobs Act, would give tax credits to companies that invest at least $12 million to build, renovate or expand a facility. According to the bill, companies designated as High Impact Business using a construction worker employed by an Illinois contractor or subcontractor would be eligible for a 50 percent tax credit of the labor cost of a capital improvement project within the state and up to 75 percent if the project takes place in an underserved area. Marc Poulos, representing laborers from the Indiana, Illinois, Iowa Foundation for Fair Contracting said, “The Blue Collar Jobs Act will spur more economic development throughout the state of Illinois while tying tax credits directly to the construction jobs created." Wheeler clarified the tax credit would become effective after the project was completed, unlike a similar provision in the EDGE program (Economic Development for a Growing Economy) that grants tax breaks when a company promises to create new jobs in Illinois. “There’s no risk to the state that a company won’t meet a threshold or fulfill a promise and then have to claw that money back,” he said. The bill has been referred to the Rules Committee.